I finally decided on an outfit that I love and will probably wear for a good while. It also doesn’t seem to be something I see on the fleet (at all) so I’m unique-ish. 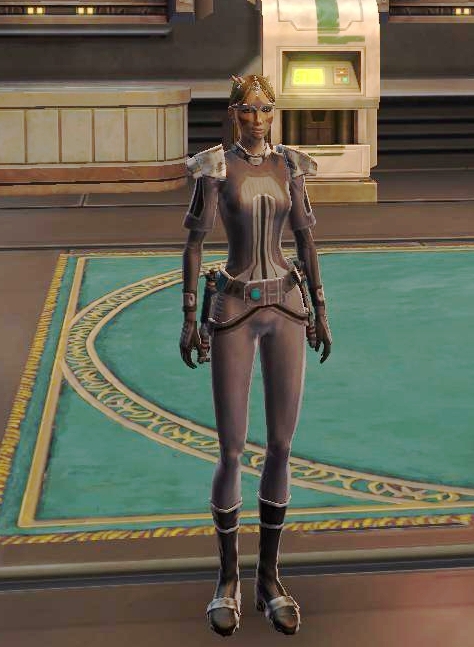 Sentinel’s Waistcord (synthweaving) – with this outfit, the 2 loops for the lightsabers don’t clip or look stupid. Hawt. 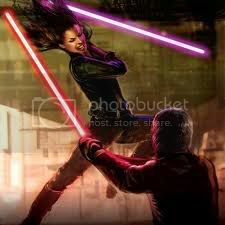 Custom-Built Lightsaber x2 (artifice) – as much as I love the toothsabers, they didn’t work with this look, so they are taking a vacation in my bank. Remember, folks, most of these pieces are republic-side stuff/appearance. You imps are on your own. I saw a vanguard in Section X last night dressed like an Inquisitor. It was awesome. My dps set now resembles a smuggler (think of a slightly off-color version of Luke’s atire during the medal ceremony post Death Star explosion).. My tank set now looks like a jedi tank’s armor should. 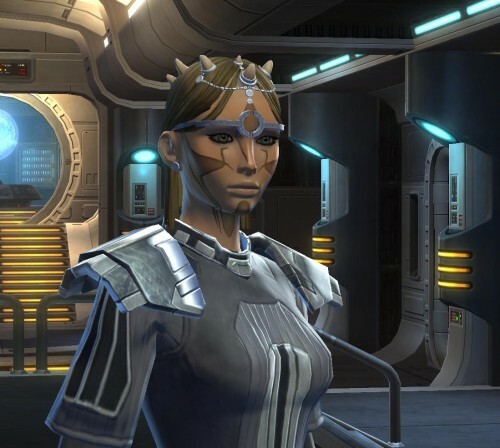 The addition of adaptive gear to the Cartel Market plus the selling of Campaign Armorings for BH Comms has done great things for customization, which we all love. Not to be confused with the OTHER space pants that I’m currently grinding. 2 more days!